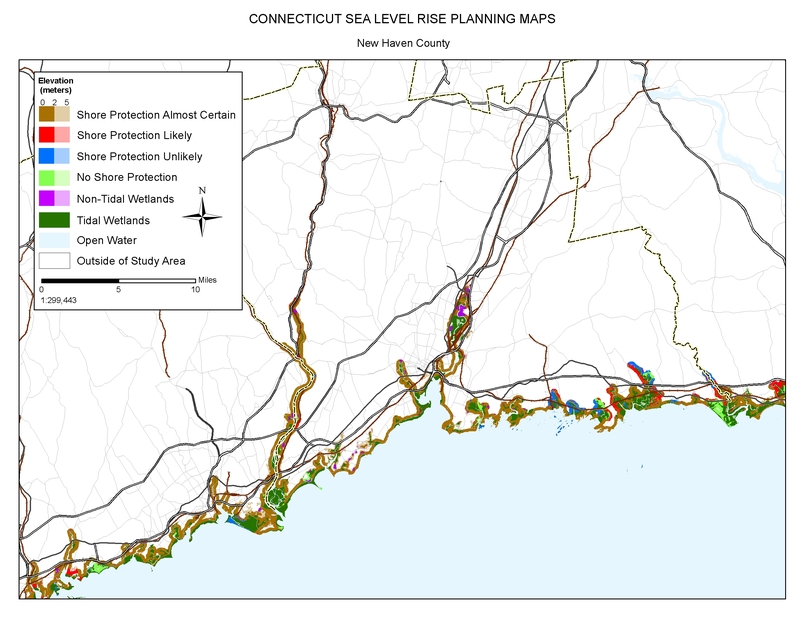 A $2 million effort to map the likelihood of shore protection as sea level rises is summarized in a new article entitled "State and local governments plan for development of most land vulnerable to rising sea level along the U.S. Atlantic Coast." 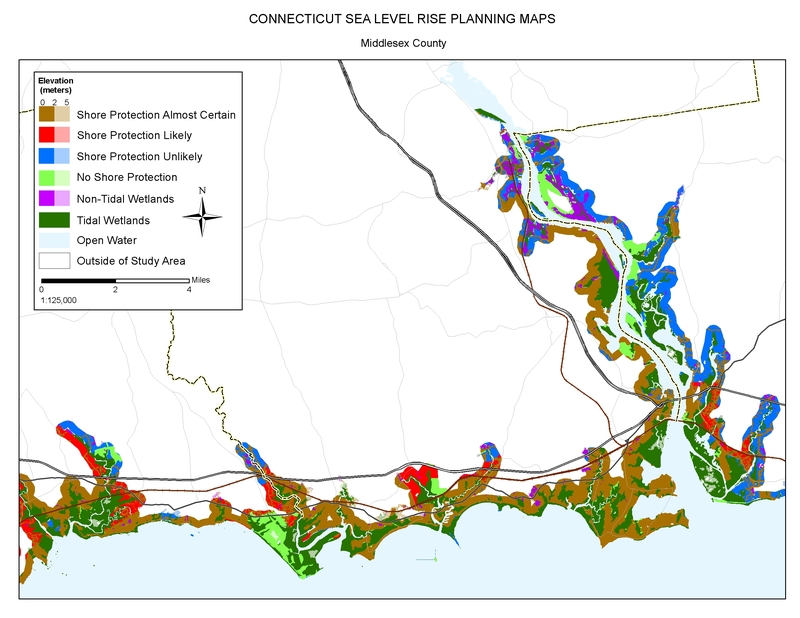 The maps divide coastal low lands into four categories: developed (shore protection almost certain), intermediate (shore protection likely), undeveloped (shore protection unlikely), and conservation (no shore protection). 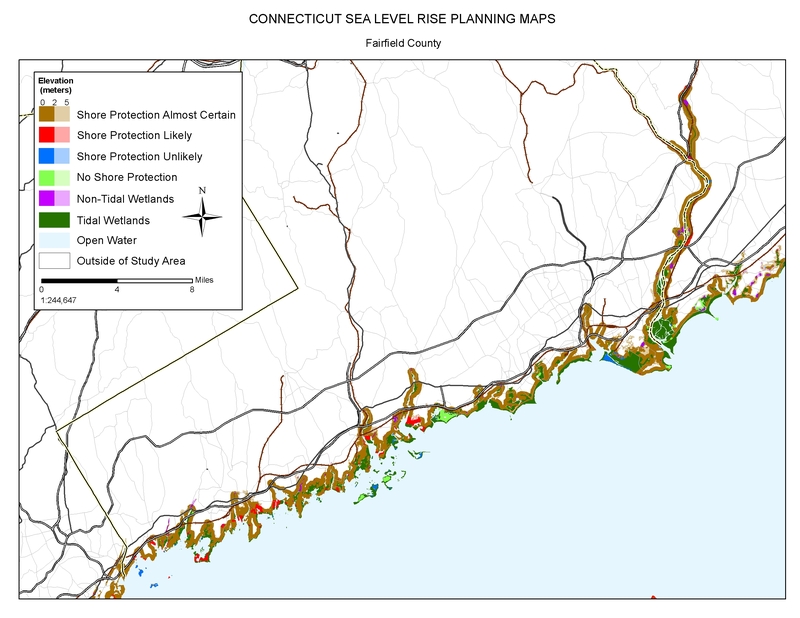 For further details, see our summary of the Connecticut chapter from "The Likelihood of Shore Protection". 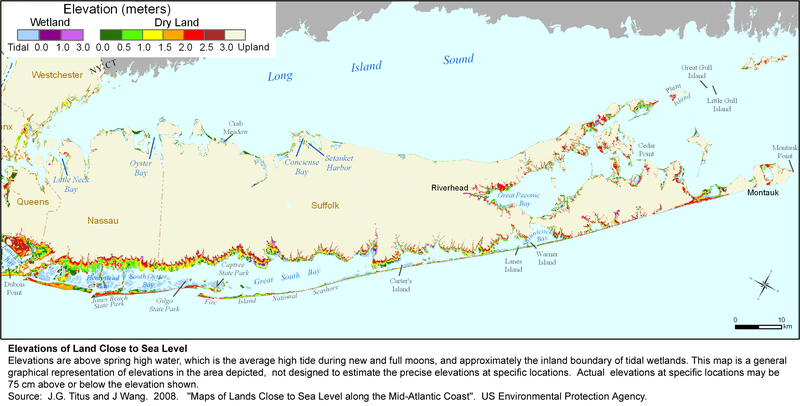 Download a zipped file with the all of the maps shown here except for Long Island Sound.